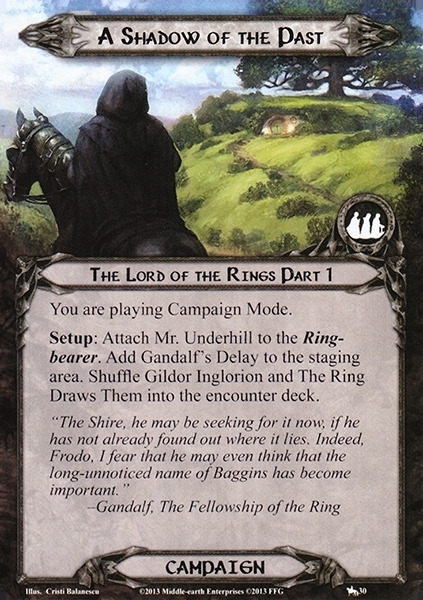 When Sacked: Attach to the character (excluding Gandalf) with the highest printed Willpower without a Sack attached.Attached character cannot ready, attack, defend, commit to quests, or trigger effects. If this Sack card is removed, shuffle it into the sack deck. When Sacked: Attach to the character (excluding Gandalf) with the most attachments without a Sack attached.Attached character cannot ready, attack, defend, commit to quests, or trigger effects. If this Sack card is removed, shuffle it into the sack deck. 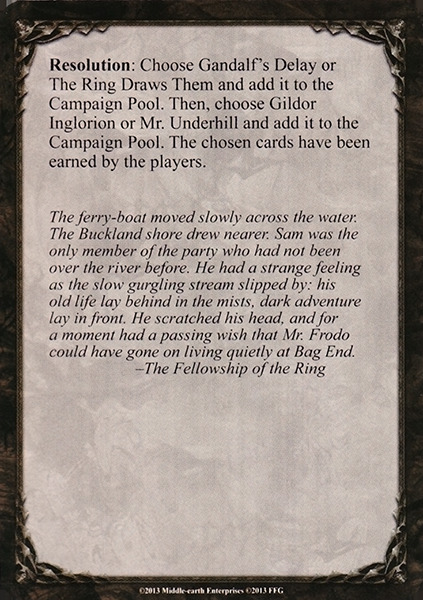 When Sacked: Attach to the character (excluding Gandalf) with the highest printed hit points without a Sack attached.Attached character cannot ready, attack, defend, commit to quests, or trigger effects. If this Sack card is removed, shuffle it into the sack deck. 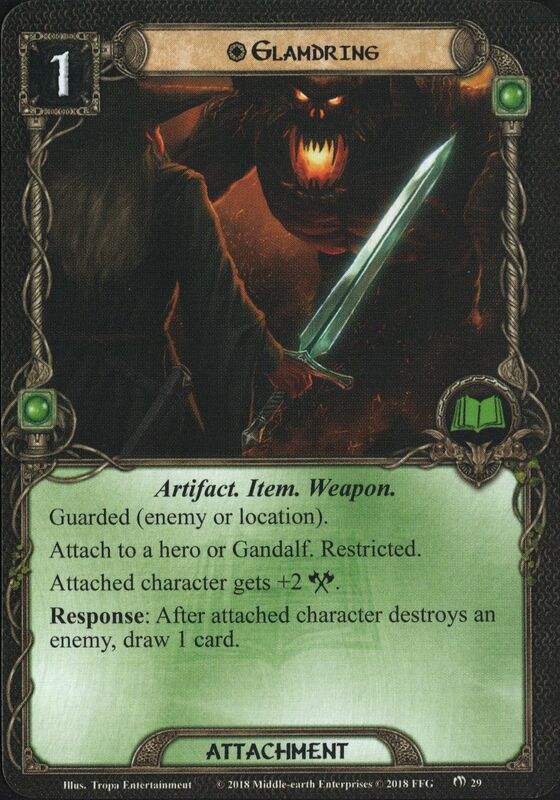 When Sacked: Attach to the ally (excluding Gandalf) with the highest printed cost without a Sack attached.Attached character cannot ready, attack, defend, commit to quests, or trigger effects. If this Sack card is removed, shuffle it into the sack deck. When Sacked: Attach to the character (excluding Gandalf) with the highest printed Attack without a Sack attached.Attached character cannot ready, attack, defend, commit to quests, or trigger effects. If this Sack card is removed, shuffle it into the sack deck. When Sacked: Attach to the character (excluding Gandalf) with the highest printed Defense without a Sack attached.Attached character cannot ready, attack, defend, commit to quests, or trigger effects. If this Sack card is removed, shuffle it into the sack deck.